With a brushed silver finish which beautifully offsets delicate diamante details, this stylish silver frame makes a sleek addition to any room of the house. 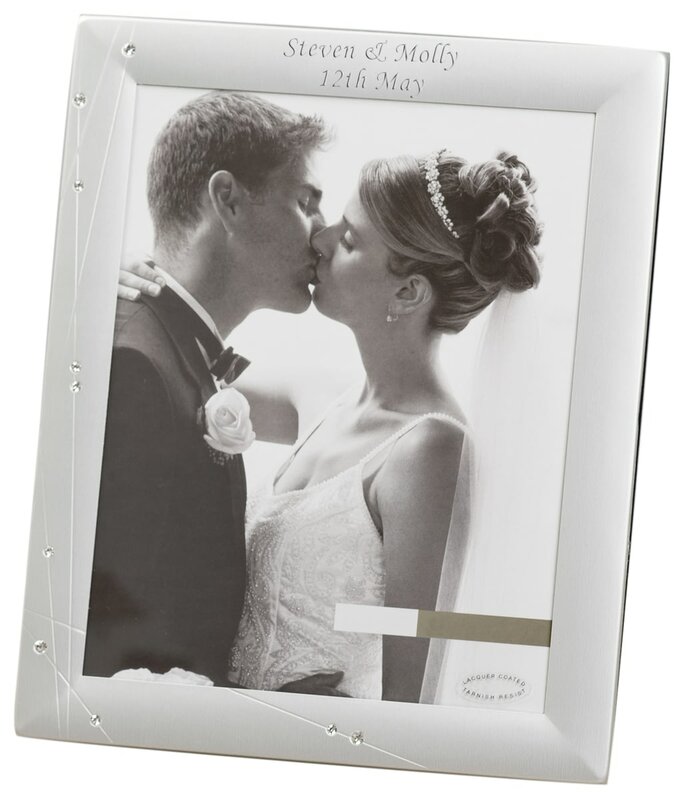 With an anti-tarnish finish and your message engraved on the top, this frame can be bespoke for any occasion. Whether this is for that proud graduation pic, a wonderful wedding snap, or an adorable baby photo, this frame makes the ideal present for that special day. This delicate frame will hold any 6"x4" photograph. Perfect for a wedding photo of the happy couple, or a perfect anniversary gift to remind the happy couple of that special day.